Merav Gleit, Monsanto’s bee health platform lead, holds up a swath of honey bees that she’s using to help develop a technology to ward off parasitic varroa mites. 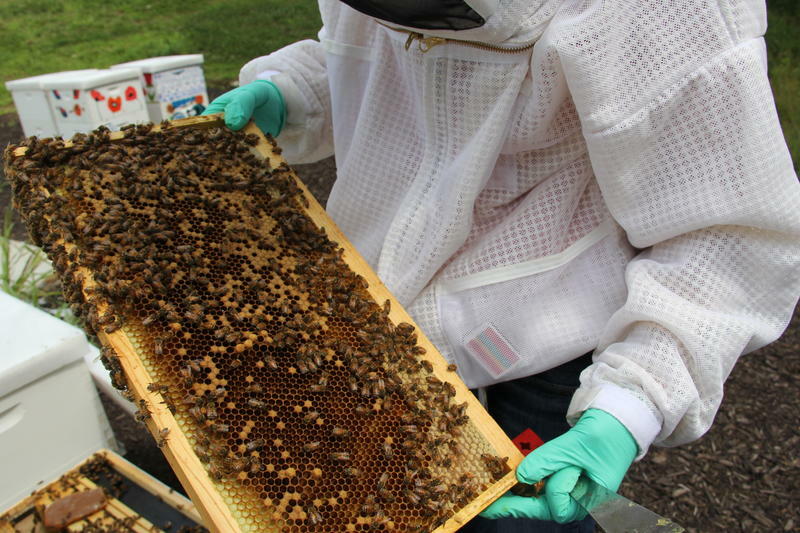 Monsanto and St. Louis-based biotech company RNAgri are collaborating to develop a technology that will help farmers and beekeepers ward off pests. The technology uses a naturally occurring process called RNA interference. DNA contains genetic information that RNA transports throughout a cell to allow the cell to produce proteins. 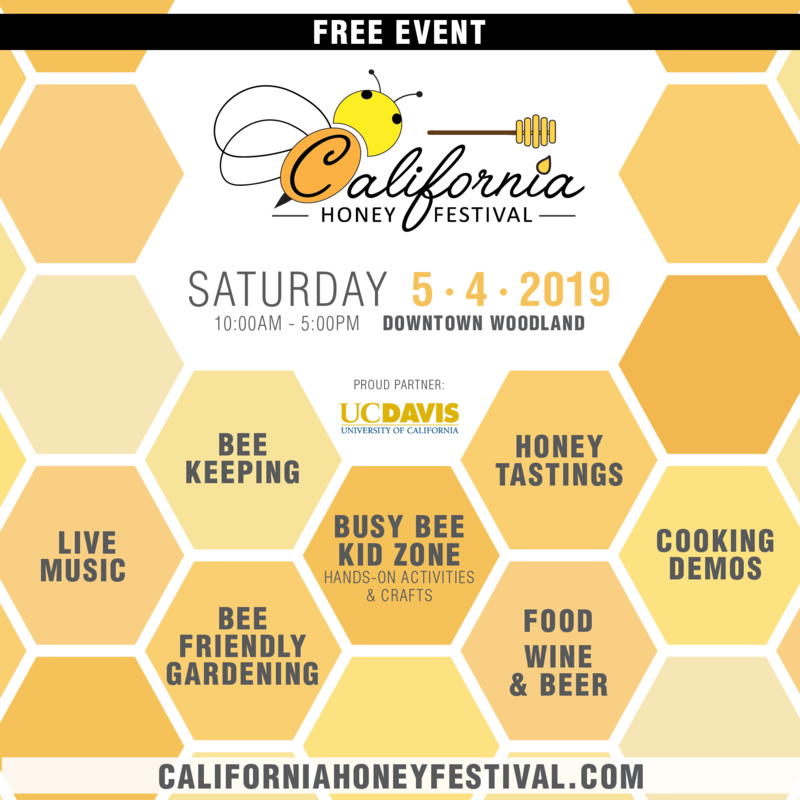 The honeybee, for example, produces some types of proteins that attract varroa mites, a parasite that scientists believe to be a cause of colony collapse disorder. RNA interference could stop those proteins from being produced and prevent varroa mites from harming bees. RNA interference technology has developed in two ways. First, a crop could be engineered to stop the production of certain proteins that draw pests to damage it. Second, the crop’s leaves could be sprayed with RNA interference technology. The latter has not been as developed as the former and that’s largely because it’s still quite expensive, RNAgri CEO John Killmer said. RNAgri, largely funded by BioSTL’s investment arm BioGenerator, has been developing the technology to ward off a number of pests, including fire ants. The startup’s expertise will help Monsanto’s ongoing projects to address varroa mites in backyard bee hives and canola flea beetles for canola farmers. RNA interference targets specific pests, as opposed to attacking potentially many kinds of pests. That allows the user to control the impact the product has on the environment. 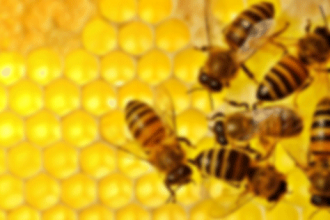 “At the end of the day, mites are kind of like bees, so finding something that differentiates them and doesn’t harm the bee is really tough,” said Greg Heck, science strategy operations manager at Monsanto. Next articleCATCH THE BUZZ – Earth BioGenome Project aims to sequence, catalogue and characterize all species more complex than bacteria.